Skincare has really started being more of a priority for me and instead of just sticking to my normal products, I will try and be more adventurous and try new things. 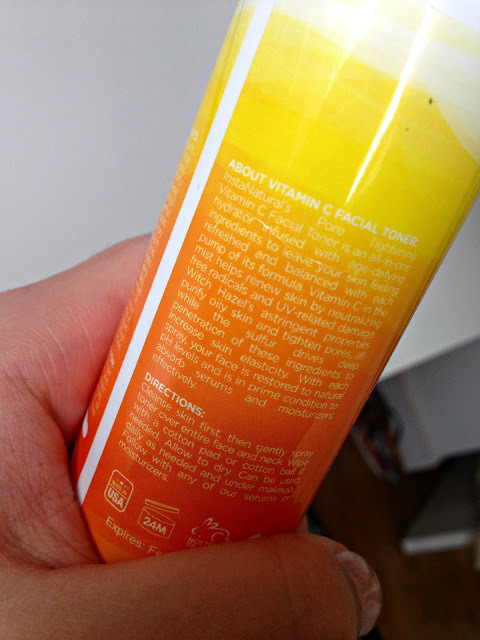 A few weeks ago I was kindly sent this Vitamin C Facial Toner from InstaNatural (thank you!) and although at first I was a little dubious on what to expect, I soon started to get excited and was eager to start trying it! The best thing about this toner is that is contains 100% natural and organic ingredients and also has Vitamin C, an essential nutrient that is vital to developing skin health and youthfulness. This antioxidant is needed in order for the body to produce collagen, which is what keeps your skin elastic and supple. A daily dose of Vitamin C with our Facial Toner Spray is a great way to restore a youthful complexion by helping to strengthen your skin to protect and fight against environment factors that speed up the signs of ageing. The soothing mist also brags about delivering instant refreshment to your face. As your skin is hydrated, the MSM in the formula works to penetrate your pores to increase their elasticity. Your face will become more receptive to absorbing serums, oils, and moisturisers applied thereafter. As I've said before in previous posts, I do suffer from oily skin terribly and another great thing about this toner is that it helps to combats oily skin! The ingredients in the spray work to combat and remove excess oil, while restoring your natural pH levels so your skin is balanced. Like I said above I was sent this a few weeks ago and I've been using this every single day before I apply my make-up and before I go to sleep at night and I've already started to notice a difference. 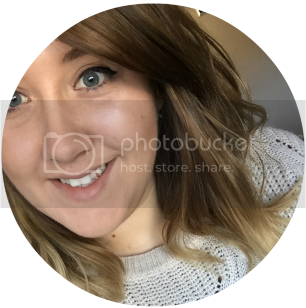 My skin feels a lot brighter and cleaner and I've even noticed that my skin doesn't get as shiny and that I've not had any bad break-outs. All the toners that I've used in the past have been in bottles and you apply using cotton pads so this is the first time I've used a mist spray toner and to be honest - I love it! It's so much easier to apply and I think it's eco-friendly as you don't need to use cotton pads every time you apply. Think of the environment people! The only thing I would suggest to InstaNatural to change would be the scent! To me it was a little too strong and might be a bit of an acquired taste for other people but it wasn't so noticeable after the spray had dried. Overall I'm really loving this toner and I would definitely buy myself another bottle when this ran out. I'd definitely recommend this for anybody looking for an organic time-saving toner! You can check it out here on their Amazon page where it's currently on offer for £17. 95! *I was sent this by InstaNatural to review but all my opinions and images are mine. This sounds awesome! I want to try it now! Really great review! It was wel written! 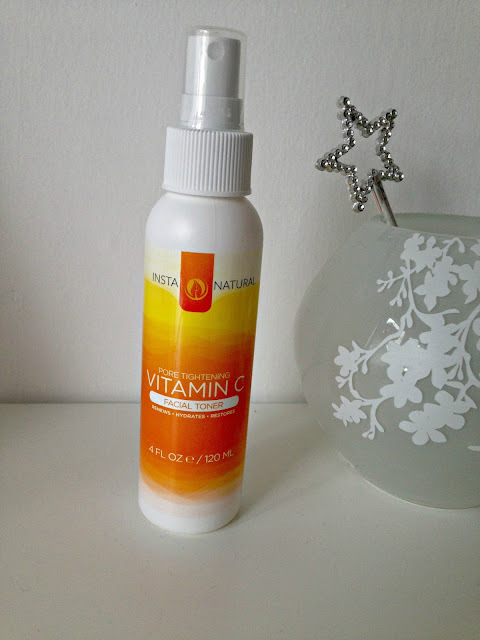 I am huge fan of natural ingredients for skin care and vitamin c is great for my skin too. Great review.